Journalist-turned-author and communicator Mahul Brahma won the Brand Leadership Award 2017 given by CMO Asia. The award recognizes Brand Custodians and Brand Writers. 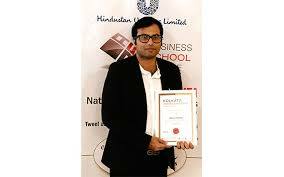 Mahul’s work was recognised as a commentator and author on luxury brands and brand custodian of mjunction, India’s largest B2B e-commerce company. Mahul’s book Decoding Luxe, which has received praises from Ratan Tata, found a special mention at the event at Taj Bengal on Wednesday.